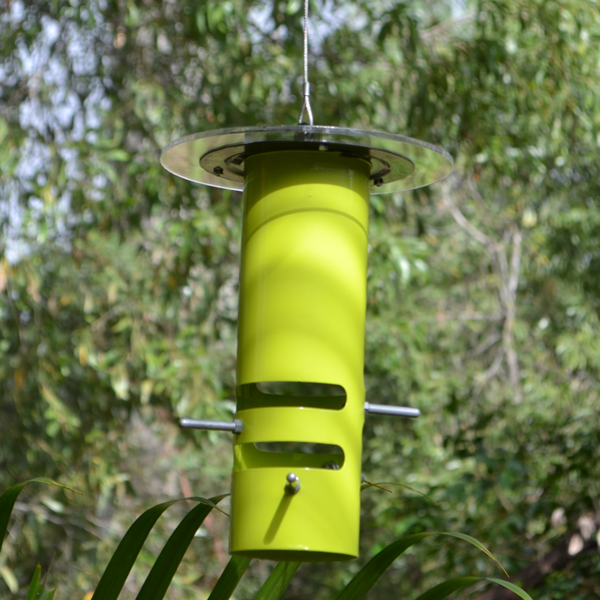 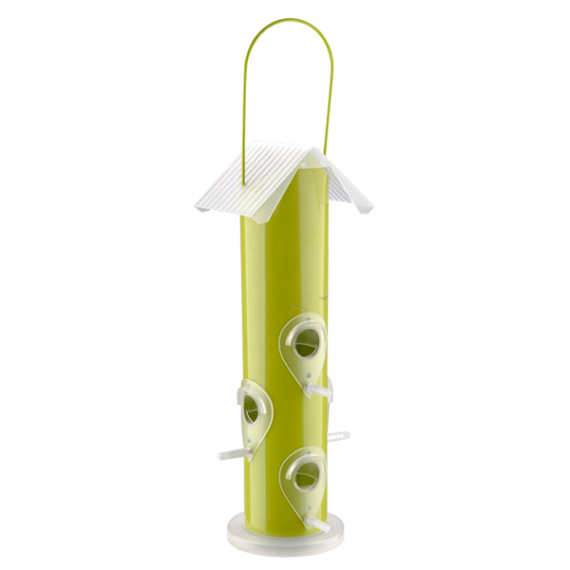 This green Nature Mates Classic Tube Bird Feeder blends nicely into your backyard greenery. 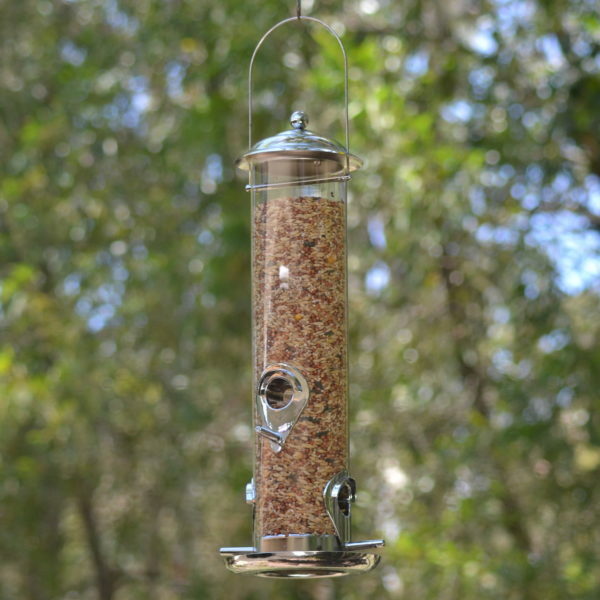 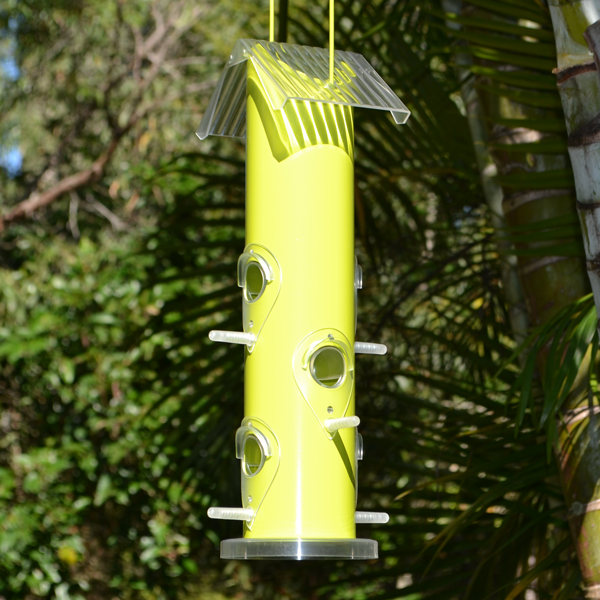 The hanging tube feeder includes 6 clear feeding ports and perches to allow for many simultaneously feeding birds while the steel handle allows for easy hanging with wire or rope or even directly on to branches. 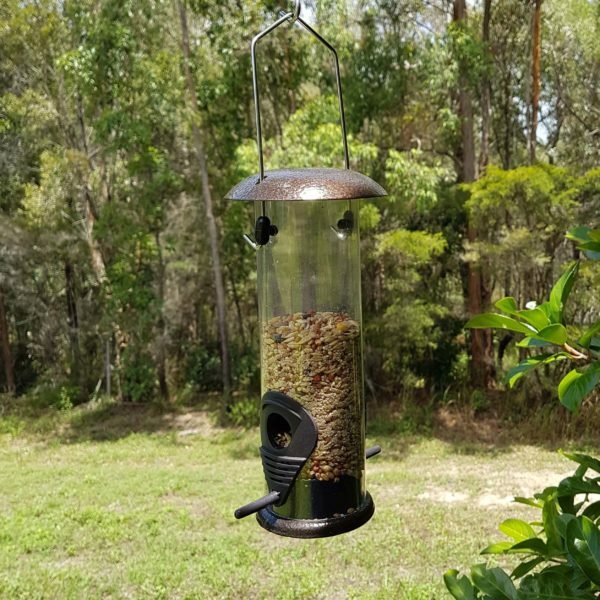 It’s extremely easy to fill with seed or nuts, just lift the transparent lid to the side and fill with the bird food of your choosing. 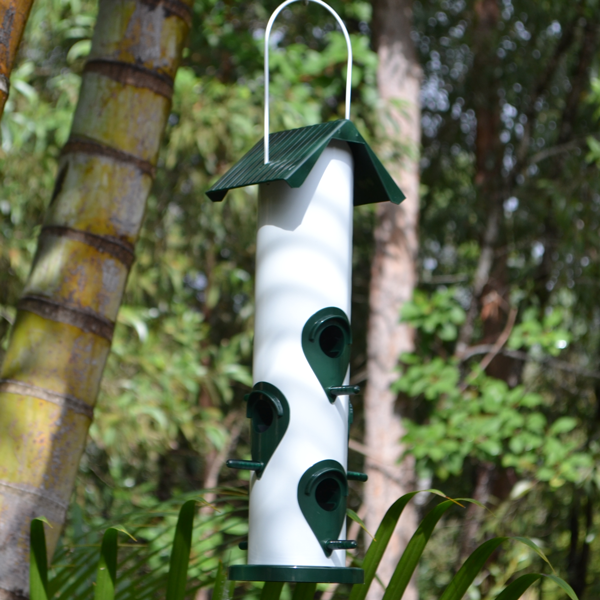 Made from eco-friendly, coated iron sheet, making it heavier than the plastic tube feeders, and ABS, this bird feeder’s size is 8cm (di) x 35cm.